Phoenix Contact nanoLine – Smart, simple, connected, flexible. The nanoLine is a control platform with easy application programming and flexible, modular configurations. It requires virtually no support and is targeted for basic applications in competitive markets where connectivity is increasingly required. The nanoLine is a smart, compact control system designed to perform many tasks automatically, saving time and preventing errors. The nanoLine controllers are programmed using an intuitive flow chart programming language that requires no programming background to produce a working program. The nanoLine supports a new level of connectivity in its product class. 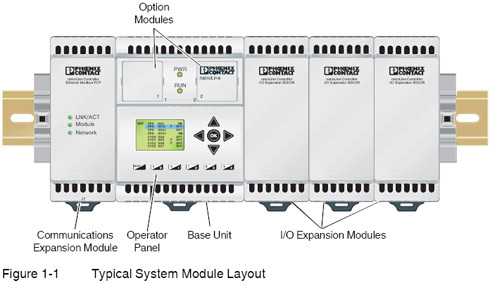 nanoLine controls can be embedded into systems, monitored from a distance, or remotely controlled by a host computer, large PLC or advanced HMI. Select only the necessary project components with this easy-to-use, tightly-integrated, modular system.